The planter has a beautiful and timeless design that will match most any home dicor. It maintains the look of ceramic, while having the convenience of being lightweight and durable. 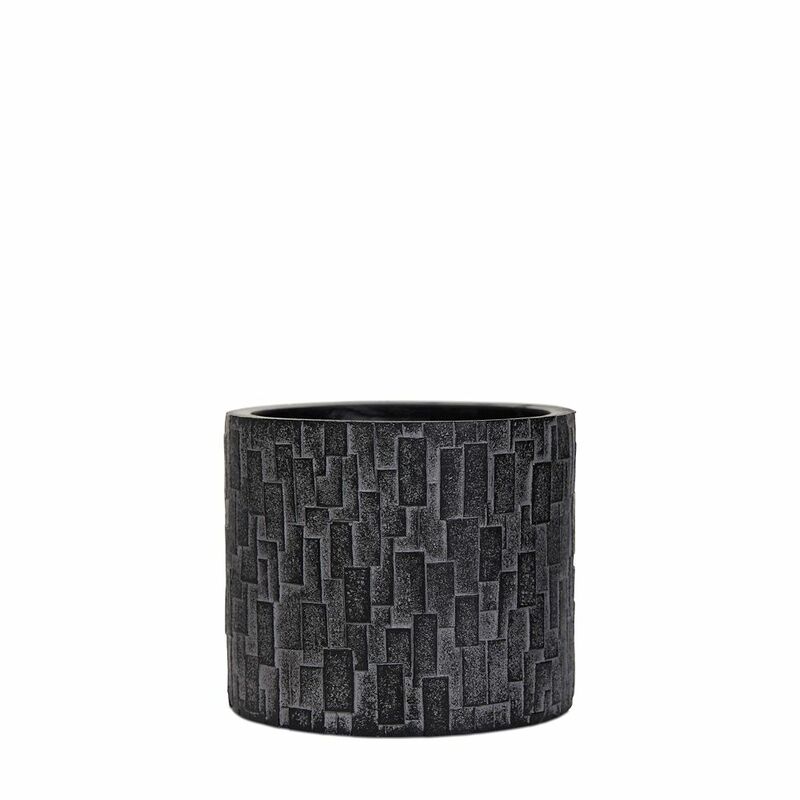 Vase cylinder II stone 5.5x5.5x4.9 inch black A stylish collection and wide assortment of beautiful planters with a modern touch and clean-lined finish while adding a welcoming refreshing touch to porches, entryways, decks, poolside and indoors.